Apply to receive your voucher below or download the voucher above. Please note we will need you to check the box to confirm we are allowed to send you marketing correspondence. 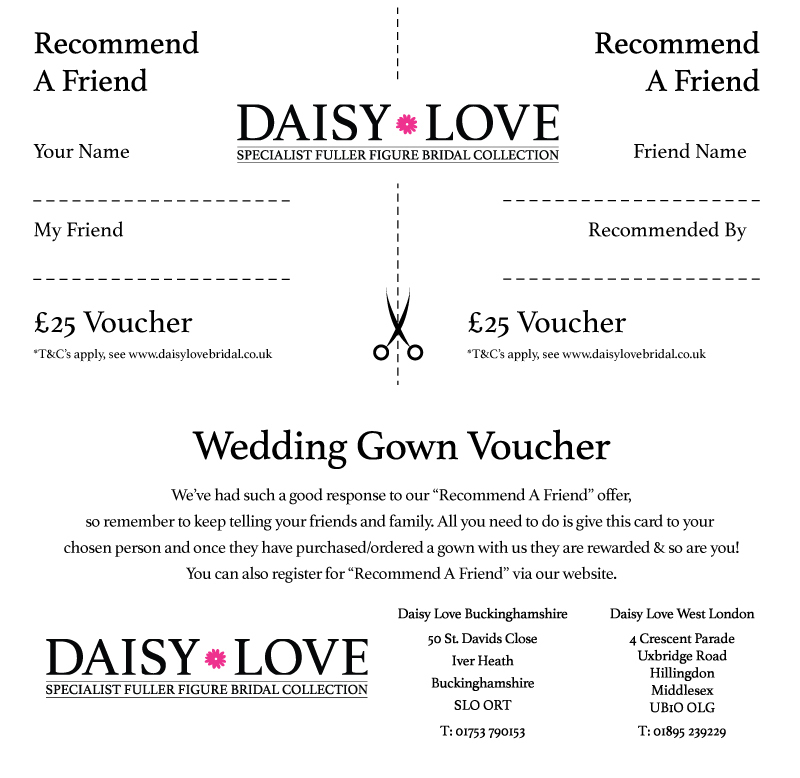 One voucher of £25 per person - max 2, per gown purchased/ordered. "Person" referes to the individual who recommended our shop to the new customer and the new customer themselves. Vouchers will be given within 14 days of the order being confirmed. Vouchers for the following stores can be chosen - M&S or Pizza Express. No cash alternative or transferable to instore products. We reserve the right to withdraw the offer at any time. Vouchers will only be administerered if all conditions have been met.